An unwavering advocate fighting for clients’ rights. An unwavering client advocate fighting for clients’ rights. Mr. Sheffield has extensive experience in fighting for his clients’ rights, and has a proven track record in successfully handling complex litigation. Matthew T. Sheffield Esq. graduated from Syracuse University with dual degrees in Political Science and Television/Radio/Film. He later attended Benjamin N. Cardozo School of Law, New York City, New York, to earn his Juris Doctorate (JD). 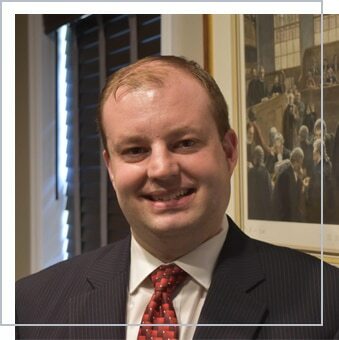 While at law school, Matthew interned for numerous State and Federal Court Judges, as well as working for a legal clinic for the City of Newark, New Jersey. Prior to joining the Todd J Leonard Law Firm, Matthew worked at an employment law firm specializing in wage and hour law. Thereafter, he represented companies in administrative hearings in New York City Courts. He also worked for the Law Offices of Michael Lupolover, a consumer protection law firm, representing consumers in prosecuting claims under the Fair Debt Collection Practices Act (FDCPA), Fair Credit Reporting Act (FCRA), and Telephone Consumer Protection Act (TCPA). Mr. Sheffield’s excellent reputation as an attorney was built by successfully litigating various cases on behalf of consumers for violations of the federal consumer protection statutes in arbitration tribunals and in Federal courts across the country. Additionally, he has litigated many cases to a successful conclusion in favor of consumers, including a published opinion by the United States Fifth Circuit Court of Appeals, finding a violation of the Fair Debt Collection Practices Act.